It's not very typical to find a 13 year old kid who likes investing and finance enough to write a book on the subject...but I guess that's what makes the story interesting! When I was 8 years old, I bought my first stock, PepsiCo (PEP), and I have been hooked on investing ever since. One summer day in 2002, I was at home, bored, and sitting in front of my computer thinking of something to do. 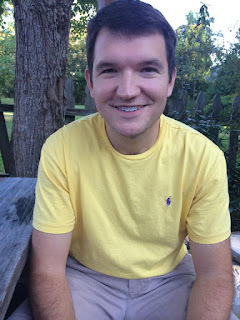 As crazy as it sounds, I thought to myself: "I should write down some of my thoughts about investing to create a guide for people my age to learn about the subject." Even though I was only 13 at the time, I did have more experience than most kids with the financial markets. I had been investing for a few years, had read dozens of books on the subject, and was lucky enough to be friends with many people in the industry who continue to mentor me to this day. Most of those friendships came about just by reaching out to those financial professionals and explaining that I was interested in learning from them. That day that I started writing, I finished with a few pages of what would become a book of my investing ideas. Later in the day, I eagerly submitted my idea to about a dozen large publishers including McGraw-Hill, one of the leading business book publishers in the world. The end result of my efforts were 11 rejection slips and some interest from McGraw-Hill. To make a long story short, that interest resulted in my book being published. 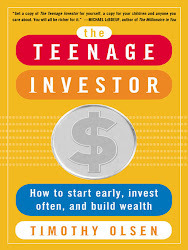 Today, The Teenage Investor: How to Start Early, Invest Often and Build Wealth is published not only in English, but Japanese and Korean, as well. The cliche that "you can do anything you put your mind to" proved VERY true in my case! Now, at 27 years old I can say a few things about myself that often take people an entire lifetime to accomplish: I'm a published author, I've worked for a hedge fund in New York City and a financial planning firm in my hometown, and have been featured in a variety of media outlets including CNBC, Bloomberg TV and dozens of newspapers and magazines. While The Teenage Investor had a great run and was in print for upwards of 10 years, it is now exclusively available in eBook format. In the past, it was a very humbling experience to go to a local Barnes & Noble and see my book on shelves! In 2011, I graduated from Louisiana State University in Baton Rouge, Louisiana with a degree in Finance - Geaux Tigers! After getting a job working for a major corporation beginning in 2011, I began to pursue my MBA from Loyola University New Orleans in 2013, and graduated in 2015. In short, I've utilized my God given abilities and made the most of the opportunities I've been afforded. My goal, ultimately, is to impart what I know about investing and finance upon others who have the drive to become financially secure but who may not know where, when, or how to start. The Teenage Investor has grown up a bit and is now an entirely new project - turning Generation Y investors into Generation WI$E investors.